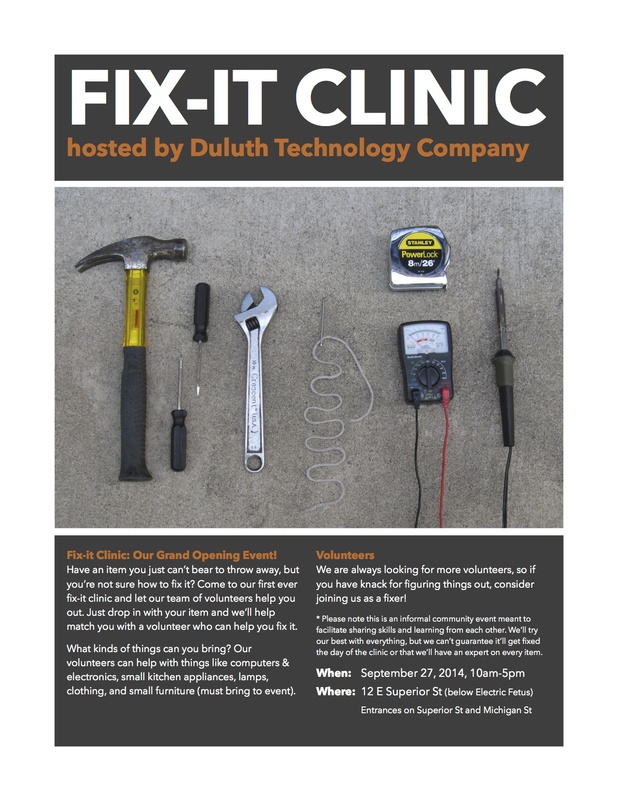 Announcing Duluth Tech Co’s grand opening event: the Fix-it Clinic! We are so excited to host this event and we hope to do more of them in the future. Click on the poster to make it bigger!